Goostree Law Group, P.C., is proud to announce that the Better Business Bureau of Chicago and Northern Illinois has awarded the firm an A+ Accreditation rating, the highest rating that the BBB gives. An A+ score on the BBB Accreditation test reflects that Goostree Law Group, P.C., has demonstrated the highest level of transparency and responsiveness with its clients. 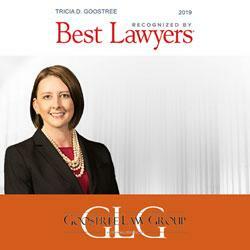 Goostree Law Group, P.C., is proud to announce that attorney Tricia D. Goostree has been selected for the 2019 edition of The Best Lawyers in America. 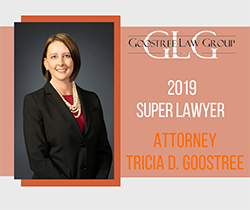 This is the first year that she has been included in this annual list of outstanding attorneys from throughout the U.S.
Kane County Attorney Tricia D. Goostree is the founder and managing partner of Goostree Law Group, where she concentrates on family law and domestic relations. She regularly assists clients with cases involving complex finances, spousal maintenance, the allocation of parental responsibilities, child support, parenting time, and more. Becoming a member of the Lawyers of Distinction in 2018. Goostree Law Group has launched a new website to accompany the new office at https://www.napervillefamilydivorcelaw.com. 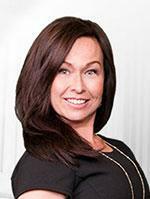 Clients can schedule a free consultation in the office by calling 630-407-1777.